The Titan Syringe Pump is designed for safe and reliable scale-up. Carefully constructed from long-life materials, it operates effortlessly at pressures up to 20 bar and viscosities up to 1,000 cP, delivering precisely controlled flow rates for extended periods. Removable cassettes allow straightforward servicing of syringes and enable seals to be rapidly changed with minimal tools required. A built-in backwash feature prolongs seal lifetime and maintains the cleanliness of pistons and cylinders, which also helps to prevent degradation of air-sensitive chemicals and protect users. Process safety can be further enhanced by immersing syringe cassettes in a gas blanket. 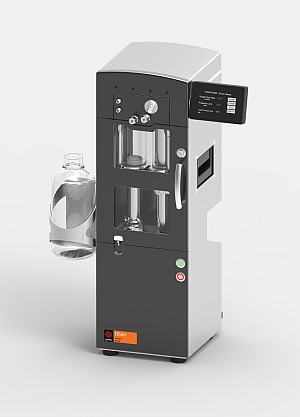 The Titan Syringe Pump can be controlled manually via the intuitive Titan Remote Display touch screen or fully automated through PC software, and is compatible with a wide range of chemical reaction systems.